While it is nice to see celebrities rocking designer gowns on the red carpet, we are also curious to see what they usually wear. Some go the extra mile by injecting trendy designer pieces while others just go for basic outfits. One thing that seems to be a staple in everyone’s wardrobe is the trusty plaid button down shirt. As you probably know, the plaid trend has been all over the fashion industry as of late. You can see it in dresses, jackets, pants and even shoes. We’ve checked out some of the celebs that have sported plaid button-down shirts in the past few months. See how they wore this trend. The ‘High School Musical’ actress stepped into Los Angeles International Airport in her usual casual style – a shirt worn with denim shorts. She tied a plaid button-down shirt around her waist, channeling the popular 90s look. A pair of leather boots capped off her look. The American actress and model wore her gingham plaid top with ripped jeans. I would too if I’m just going out for lunch. Ashley gave it an extra touch of glamor by accessorizing with a leather handbag, a pair of booties, and a hat. At first glance, it looks like Lady Gaga forgot her pants and just rolled out of bed in her plaid shirt. But she was actually wearing shorts underneath. In true Lady Gaga style, she mixed this up with fierce-looking boots and socks. Caroline D’Amore was dressed to the nines for pumpkin shopping. Just like Vanessa Hudgens, the DJ/actress wore her plaid shirt tied around her waist. She preferred to use it as an accent to her tough, biker girl ensemble. Celebrity mom Jennifer Garner can’t be bothered with dressy outfits when taking care of her kids. 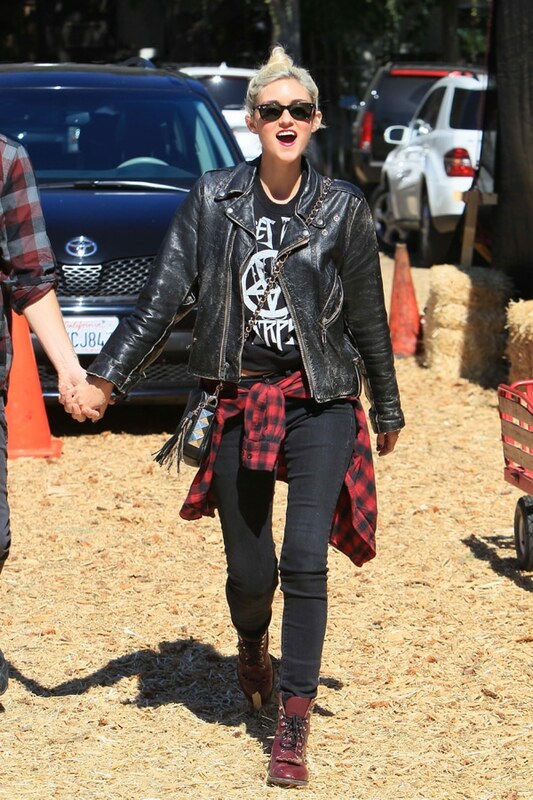 She wore her plaid top with faded jeans and high top sneakers.